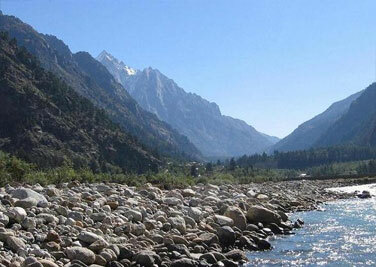 The scintillating Baspa River in Sangla Valley is one of the most scenic rivers of the Himalayas, which offers captivating views of Sangla valley, apple orchards, streams, snow-clad mountains, and more. The Sangla village is loaded with rich Tibetan culture and marvelous natural beauty makes Baspa Valley a very famous & beautiful spot. 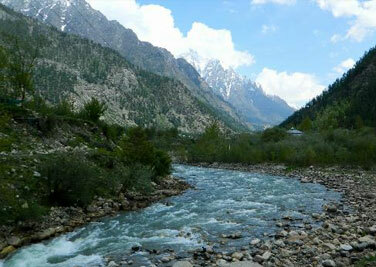 The Baspa River is the center point of this majestic valley, which has other great destinations like Chung Sakhago Pass enclosing it. 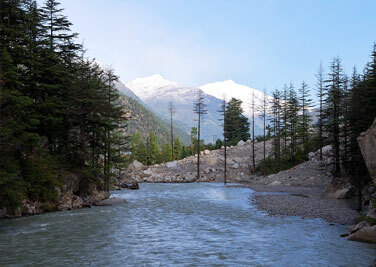 There are many glaciers around the Baspa River that add to its beauty and give a unique kind of experience to the visitors. 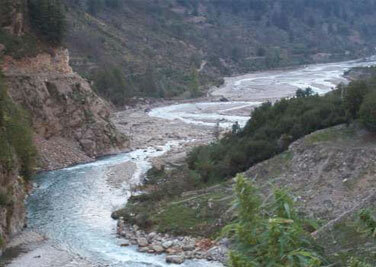 Highlights The Baspa River originates from Baspa Hills and joins the Sutlej River. The valley adjacent to this river is covered with huge oak and pine forests, which is the essence of the natural beauty of this place. While the lower side of the valley is covered with green fields, meadows, and pastures, the upper terrains have snow-covered mountains that look truly mesmerising. There are also many villages around the Baspa River that give immense opportunities to tourists to explore the picturesque surroundings of Baspa valley. The Baspa River is regarded as anglers' heaven because of the vast variety of fishes found here and it is also a big attraction for campers and trekkers. The locals have created a unique kind of boat to cross the river and it looks like a basket. The tourists can take this ride with the help of locals and travel amongst such beautiful hills to have an unforgettable moment. The people coming here mainly love to engage themselves in sightseeing and eating delicious Tibetan style food, and to indulge in shopping of handicrafts and more.